Deer Lake, like most communities in Newfoundland, is a town built on history. Practically every member of its population can trace their roots to the town’s 1922 beginnings. Back then the town was little more than a rough-hewn settlement hastily cobbled together on the banks of the lake from which the town takes its name. 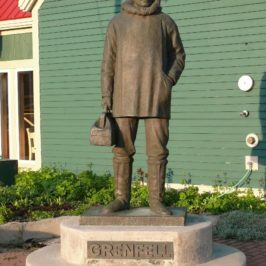 But with the construction of a hydro electric plant came the impetus for growth, and today the town boasts a population of roughly 5000, along with the distinction of being the gateway to the much lauded Gros Morne National Park and the island’s Great Northern Peninsula. As such, it’s a popular destination for tourists, who wonder at the massive, white washed structure which dominates the entrance to the small town. The hydroelectric plant stands like a monument at the entrance to Deer Lake. 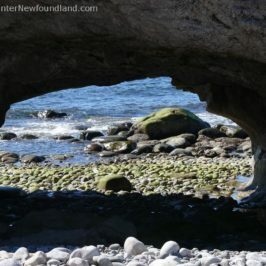 In the late 1800s, intrepid settlers crossed the gulf of St. Lawrence from Cape Breton Island to hunt and trap in the verdant forests of Newfoundland’s interior. They soon discovered the fertile land of the later named Humber Valley, a massive 800 square miles of glacial carved geography. With a whopping 30,000 acres of arable farming land available, those same settlers weren’t long putting hand to plow, and small settlements soon sprang up along the length of the Humber River, a salmon rich watercourse that provided the added bounty of fresh fish, potable water and, of course, transportation. But these first settlers weren’t the only ones to recognize the area’s potential, and in 1922 construction of a 106.2 megawatt hydro electric station was begun at the outlet of the large lake. Companies came from Europe to undertake the building of a dam and the dredging of a canal to divert enough water from the 130 kilometer, 300 meter deep Grand Lake to power the huge turbine generators necessary to produce such a quantity of electricity. 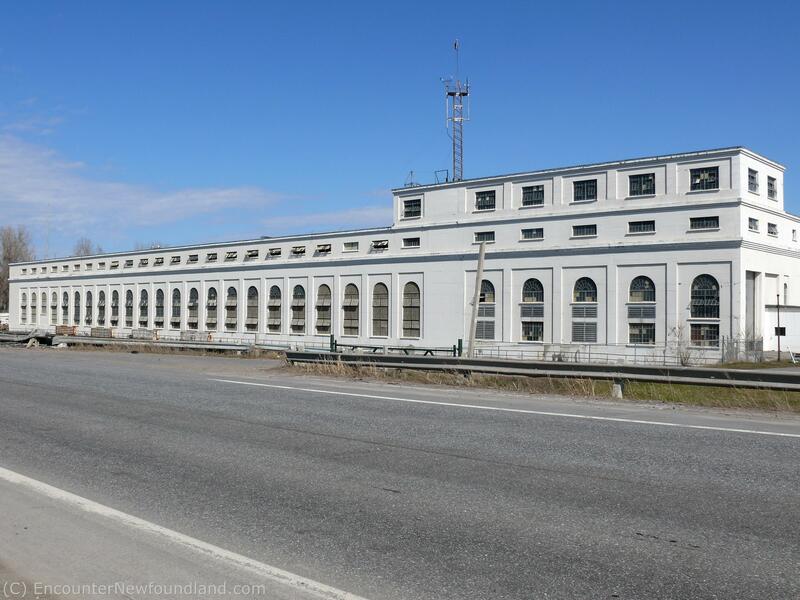 Today the fruit of their labor is still in evidence, the 244 meter Main Dam, 11 kilometer man-made waterway and nine massive 1,192 meter long wood-stave penstocks a testament to the hard work that enabled the realization of the Newfoundland Power and Paper Company’s far-reaching vision. A stroll up the now accessible Canal Road gives visitors to the area a close up view of both power plant and penstocks, and one can easily imagine the human effort required to achieve NP&P’s lofty goal in a time when such herculean feats were largely accomplished by manpower alone. View of the power station and penstocks from Canal Road. 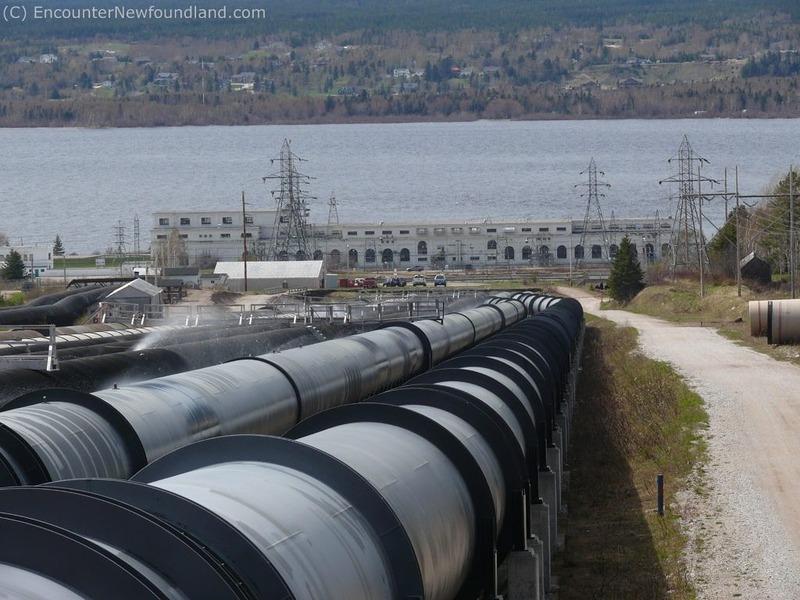 Fed by the fast-flowing Humber River, Deer Lake itself provided the perfect holding tank for pulp wood logs and the perfect method of transporting those logs to the paper mill in nearby Corner Brook. Floated down the canal, pulp logs culled from the thick forests above the settlement were herded into a water chute for the quick downhill journey to the main holding boom in the lake itself. The convenience was not without its impact on the environment, however. Over the years, the accumulation of bark or ‘pug’ at the bottom of the Deer Lake has lowered the oxygen levels, and as a consequence, the aquatic life of the lake has suffered. Though beautiful, Deer Lake—it’s name is derived from the original settlers’ mistaken identification of migrating caribou as the deer with which they, as Cape Bretoners, were more familiar—has been rendered less hospitable to aquatic life. 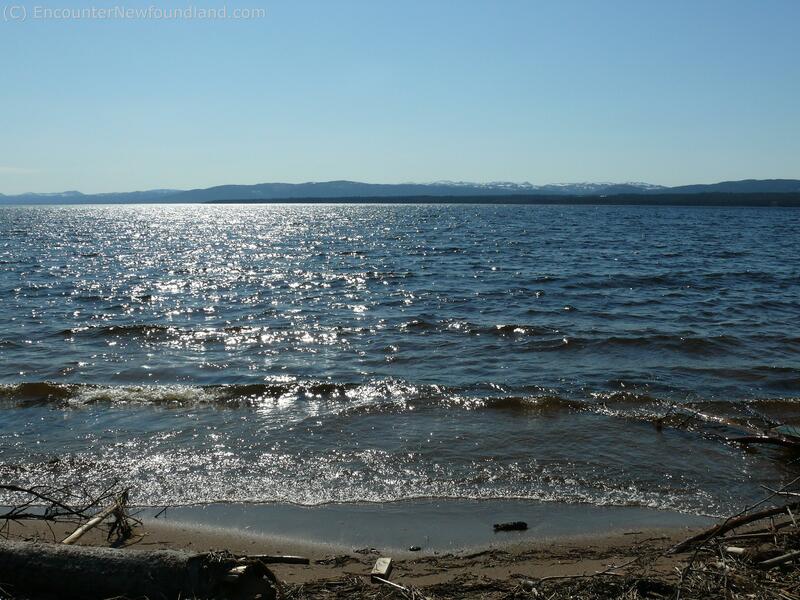 Visitors can spend an enjoyable afternoon on the sandy shores of sparkling Deer Lake. The benefits of progress, however, can hardly be denied. 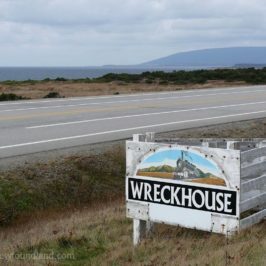 The unsightly tar paper shacks and log dwellings that were thrown up to house the multitudes of migrant loggers arriving in search of work have long since been replaced with modern structures more suitable to the town’s identity as a transportation and service hub. 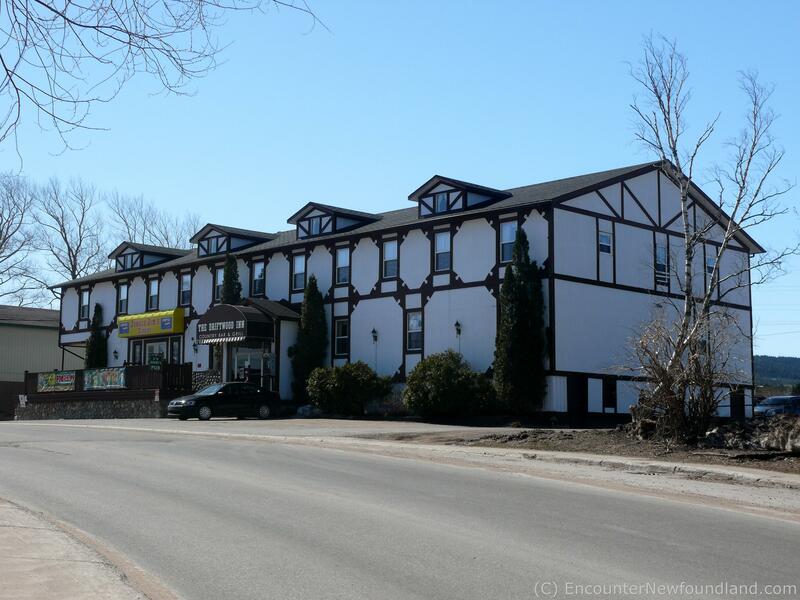 Bed and breakfasts abound to accommodate the weary traveler, while convenient fast food outlets and full sized supermarkets have taken the place of small and somewhat shabby groceterias and canteen-like take-out joints of old. Though the odd log house and a few of the old wooden structures are still in view, most have been covered over with siding and/or renovated, adding a more contemporary feel to the fully-fledged town. Yet the false fronts of Main Street remain, contributing to the overall sense of stepping backward in time that one experiences on a stroll down the main drag. The ‘powerhouse’, too, still remains in operation, looking just as it did on its opening in 1925. And though the railway station, once the locus of a tiny community, has vanished into time’s mists, an aura of history still lingers in a town that now offers all the amenities necessary to make the visitor’s stay a comfortable one. 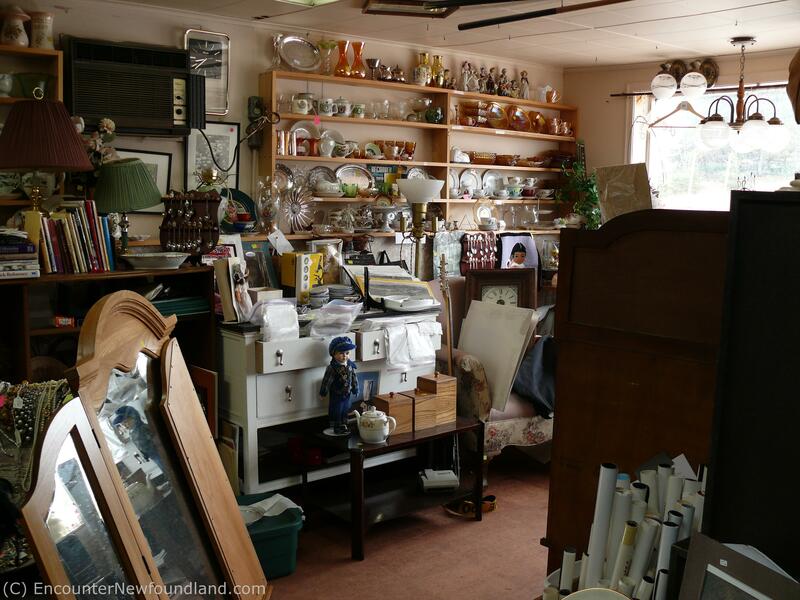 A charming antique shop on Main Street offers a timeless glimpse of days gone by. Deer Lake has outgrown its infancy to become an integral stop on the tourist itinerary. 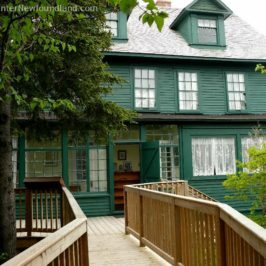 Whether one is traveling across the island to the lively capitol of St. John’s or making the winding trek up the Great Northern Peninsula in search of the scenic and historic Viking Trail experience, Deer Lake is on the route. Its bustling airport, which had its humble beginnings in 1955 as a small clapboard shack and 4000 foot gravel landing strip, now offers an extended and paved 8,005 foot runway and modern 49,700 square foot terminal, with T.V. lounge, cafe, gift shop, car rentals, internet access and everything else the modern-day traveler would expect of a busy regional center. 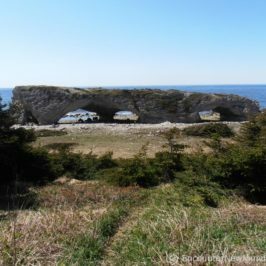 With its numerous accommodations and restaurants, its accessibility via road and air, and its by and large friendly inhabitants, this small town makes for a convenient and comfortable jumping off point from which to explore the western region of this great and sprawling island. 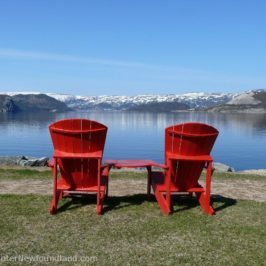 Being the closest major community to Gros Morne National Park—a UNESCO World Heritage site on most travelers’ to-do list—enhances its appeal as a Western Newfoundland vacation stopover. 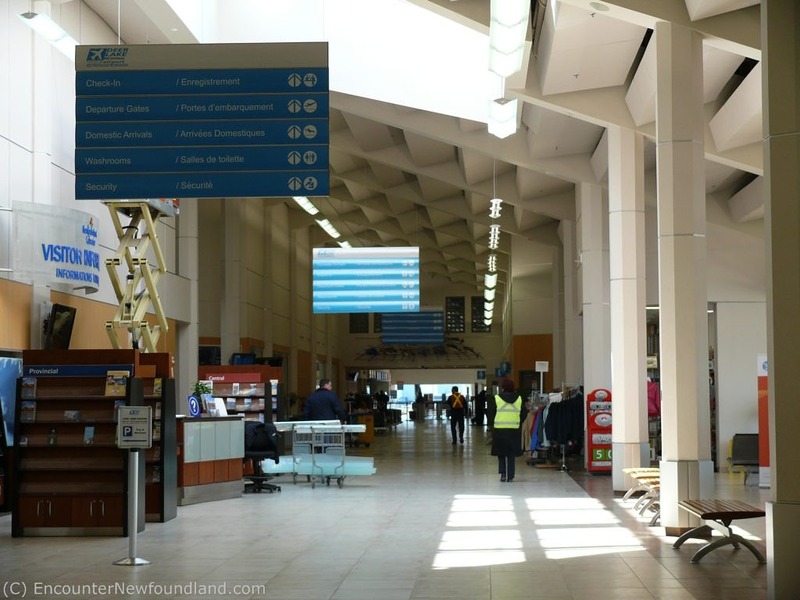 Fully half of the spectacular Great Northern Peninsula can reasonably be explored during day trips out of Deer Lake, and the town’s proximity to the larger urban center of Corner Brook means quick and easy access to a wide variety of services, attractions and events. The Driftwood Inn on Nicholsville Rd. blends old-world charm with present-day comfort. From its early days as a logging settlement, the town of Deer Lake has morphed into a tourist haven, where past and present seamlessly meld to afford the visitor precious glimpses of a historic way of life and simultaneous enjoyment of modern existence, and from whence travelers can discover Western Newfoundland assured of a comfortable, convenient and modern haven at the end of a long day’s exploration. Special thanks to Worneta Cramm and the wonderful staff of Deer Lake Public Library for their invaluable research assistance. Humber Valley Development Association. When I Was Young: History of the Humber Valley. Corner Brook, NL: Commercial Printing Ltd.,1989.